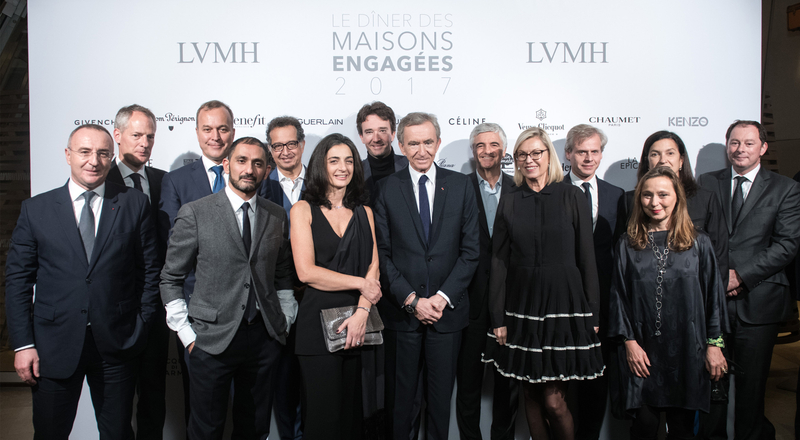 The fifth annual LVMH Committed Companies Dinner took place on December 13th at the Fondation Louis Vuitton. 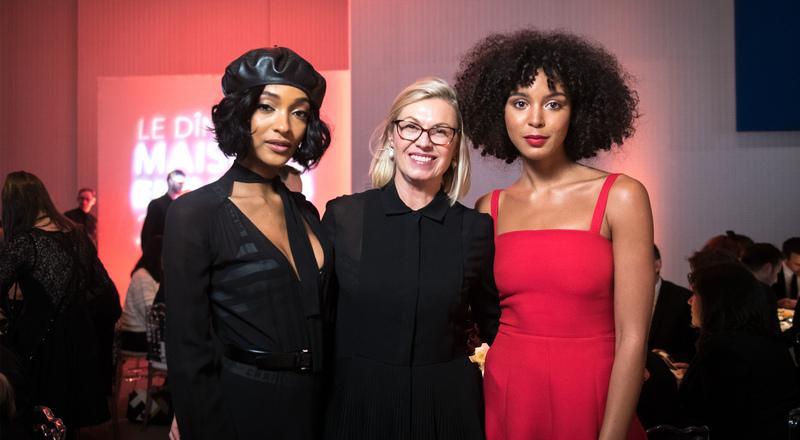 The evening celebrated the active commitment to social responsibility of LVMH and its Maisons and raised funds for the fight against sickle cell anemia. LVMH has been actively involved in the fight against sickle cell anemia since 2011, providing support for research at Robert Debré Hospital in Paris. Sickle cell anemia is the world’s most widespread genetic disorder, affecting over five million people worldwide. It is estimated that 250,000 children are born with the disease each year. 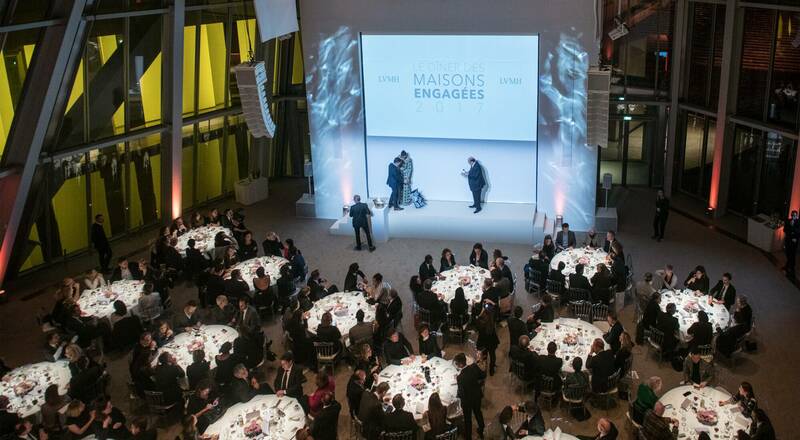 The annual “Dîner des Maisons Engagées LVMH” is a concrete example of the Group’s commitment to social responsibility, raising funds for the ongoing fight against sickle cell disease and improved patient care. “The LVMH Group is more mobilized than ever in our support for Robert-Debré Hospital and the fight against sickle cell anemia, reflecting the long-term vision of social responsibility that inspires our actions,” noted Chantal Gaemperle, LVMH Group Executive Vice President, Human Resources and Synergies. "Je suis très fière de représenter LVMH, un Groupe qui s'engage pour des causes comme la lutte contre la drépanocytose et qui a un impact concret quand il s'engage. Cette générosité nous ressemble." Sponsored by Bernard Arnault, Chairman and Chief Executive Officer of LVMH, the dinner welcomed 400 guests. Toni Belloni, Group Managing Director and Chantal Gaemperle, Group Executive Vice President, Human Resources were joined by the Presidents of the Maisons. The event was also attended by representatives of associations, celebrities and artists, including singer Arlissa and musician Son Little. “The continued support of LVMH is essential for us, making it possible to progress with our research and to improve the quality of care for our patients. LVMH also helps raise awareness of a disease that does not receive a great deal of attention, despite being very widespread around the world,” said André Baruchel, Head of the Hemato-Immunology Department of Robert-Debré Hospital. For this fifth anniversary of the event, LVMH raised 190,000 euros. Benefit Cosmetics, Berluti, Le Bon Marché Rive Gauche, Bulgari, Céline, Christian Dior Couture, Les Echos, Givenchy, Guerlain, Hennessy, Le Jardin d’Acclimatation, Kenzo, Krug, Louis Vuitton, Make Up For Ever, Moët & Chandon, Parfums Christian Dior, Ruinart, Sephora and Veuve Clicquot.